Kaldewei are the leading brand in design and manufacturing of steel baths, shower trays and associated wastes. 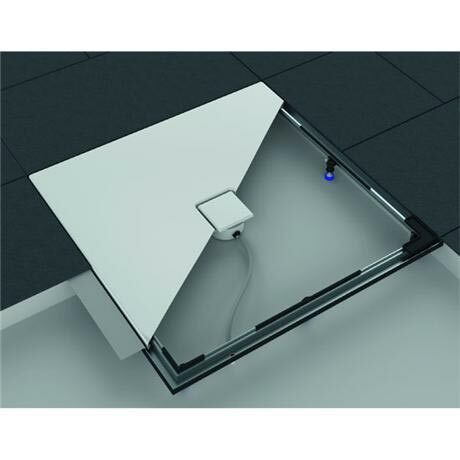 The ESR II frame system is designed to be installed in a false floor or raised flooring to provide a platform for appropriate Kaldewei shower trays. The Frame is available in several different sizes, when selecting frame please choose the size that matches the exact size of your Kaldewei tray. This Frame when installed correctly and used with the Kaldewei Conoflat tray will ensure the tray is smooth and flush to your flooring surface. The frame features a trap and gulley system to ensure a fully watertight installation. Please Note - This product is the frame kit only, this does not include shower tray or waste. If pictured the tray and waste are just for display and are sold separately.